We understand communication, and more to the point, we understand business. Many of our writers have MBAs from leading business schools and all are business practitioners. 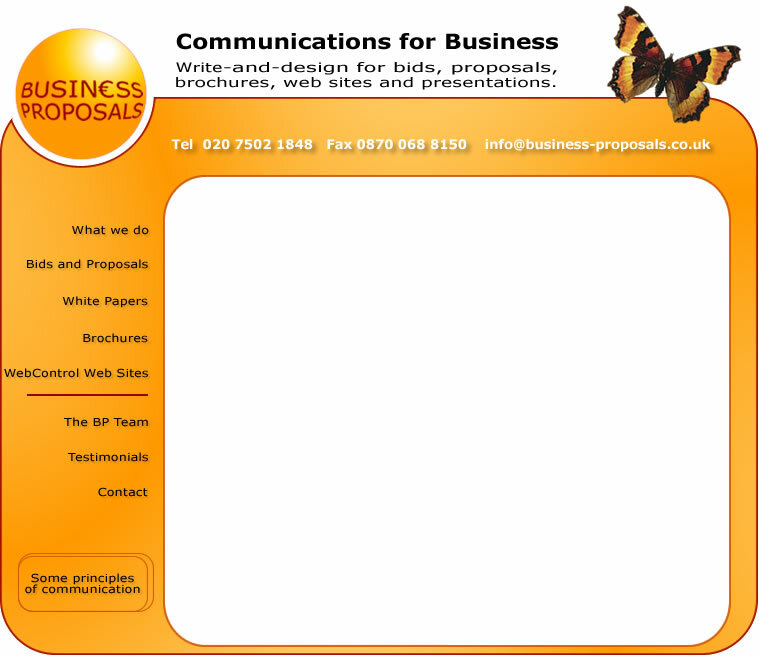 You can take our excellent writing and business graphics for granted. Our value lies in the way we shape a sales narrative and structure your proposal to make this crystal clear. Good communication is based on good content, strong themes, and clear structure. When these are supported by good technical communications skills, your proposal will have a greatly improved chance of winning. Good project management can make all the difference. Your bid team works under enormous pressure. Experts in numerous disciplines create the client proposal. The result can be brilliant, but sadly, sometimes, incoherent - a patchwork, often stitched together by the heroic typing pool. Sounds familiar? So then a great bid loses. And proposal managmeent would have made all the difference.